During the final day of the World Hockey Summit it became abundantly clear that Hockey Canada, USA Hockey and especially the National Hockey League need to become more proactive in the growth of women’s hockey. It’s something that has been at the back of my mind since the Winter Olympics in Vancouver last February – how can an exciting game like women’s hockey only really be seen on TV every four years? What can be done? 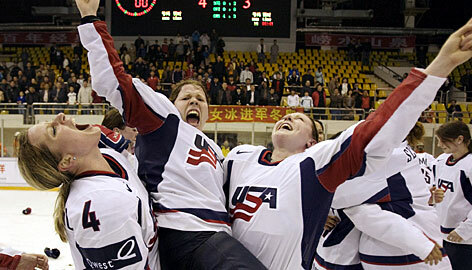 Outside of the collegiate game in the United States and Canada there is no forum for elite women’s hockey. Even at the amateur level there are many municipalities that don’t have leagues for female players, and at the World Hockey Summit there were stories of towns that won’t let women use the arenas, period. Further, there is no junior hockey for ladies - although women are allowed to play in the three leagues that comprise the Canadian Hockey League. At the professional level there have been several attempts at running leagues, including the Canadian Women’s Hockey League that has teams in Montreal, Mississauga, Burlington, Brampton, Vaughn and Ottawa. The CWHL competes for the Clarkson Cup against teams from the Western Women’s Hockey League. The WWHL has franchises in Calgary, Edmonton, Winnipeg, Strathmore and Minnesota. Although I admire these leagues ambitions, they’re unstable with teams folding or relocating constantly. Other leagues like them have collapsed under the financial and administrative strains of running a professional association. This is where the NHL needs to step in, and form a WNHL, much like the National Basketball Association’s WNBA, to market and promote a high-calibre female version of hockey. Like the WNBA model, all the teams could be owned by the NHL or its franchises at first, and as they become more solvent be sold to third parties. Every team would be associated with an NHL or American Hockey League franchise to guarantee cheaper access to facilities and to enable cross promotion. It would be an easy sell to have a NHL/WNHL double-bill in several traditional hockey markets like the Original Six, in the six Canadian NHL cities and a few other hotbeds like Minneapolis. Further, when I threw it out to my Twitter followers last week, reader @katylalonde pointed out that there are several locations begging for hockey like Winnipeg, Kitchener, Hamilton and Quebec City. It would be a smart move for all four municipalities to invite a WNHL franchise to their rinks and prove that their arenas are viable venues for professional hockey. Of course, such an initiative would have to be supported at the amateur level. Hockey Canada, USA Hockey and regional associations would need to do more to promote the women’s game at the amateur level. But with professionals serving as role models, it shouldn’t be too hard. This is the kind of program that is prime for implementation - all it would takes is a motivated NHL willing to capture the interest of a whole new market of hockey fans.